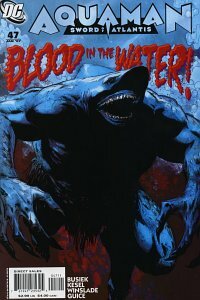 Aquaman: Sword of Atlantis #47 finishes the two-part flashback tale of King Shark versus Orin, with appearances by Vulko and Mera. 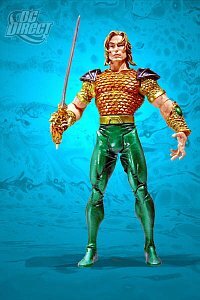 And DC Direct once again tries to bankrupt me with a first appearance of Arthur Joseph as Aquaman action figure. If you spotted something I didn't or have any comments, use the comments link on the post to let me know.